Welcome to 2019 and welcome back to #LoveOzYAbookclub, folks! I hope your Thanksgiving-Hanukkah-Kwanzaa-Christmas-New Year celebrations were joyful, and your holidays relaxing and safe. My family spent some time doing our usual camping trip – long car rides, campfires, mosquitoes and incredibly beautiful beaches (and dolphins!) seem to have been a permanent part of our holiday tradition for as long as I can remember, and I hope your vacation was equally fun. Now we’re back again for another year of OzYA reading, and I can’t wait to get started! This book is a triumph, and covers a lot of powerful ground – from modern-day multicultural Australia and domestic violence, to young love and what makes a family – and I do hope you enjoy it. Tune in to hear more from the author when we interview her later this month. 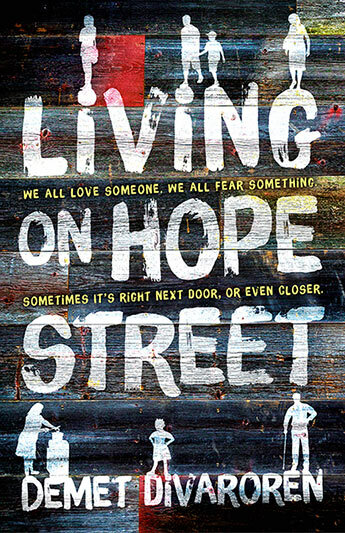 You can find a copy of LIVING ON HOPE STREET at Boomerang Books, and receive free shipping by using the ‘loveoz’ code. If ebook is your preferred reading experience, you can find a digital copy here. You’re most welcome to join in the discussion around HOPE STREET on the #LoveOzYAbookclub FB group page. What a way to kick off the year! May your reading be rich and enjoyable in 2019 and may your year be full of happiness. See you again soon!